It's been almost two months since Anthony Bourdain took his life, and while countless remembrances of the beloved former cook-turned-author and globetrotting TV host have poured in ever since, the world will soon be able to say one last goodbye. CNN announced it will release the final season of Bourdain's hit series Parts Unknown this fall, including several episodes that were in the works at the time of his death, one featuring interviews with the show's cast and crew, and a finale dedicated to his influence on fans and friends around the world. The final season will wrap up with new episodes that Bourdain filmed in Kenya, Manhattan's Lower East Side, the Big Bend area of Texas, the Asturias region of Spain, and Indonesia, according to the Los Angeles Times. However, the Kenya episode, which follows a trip the late star took to the African country with fellow CNN host W. Kamau Bell, is the only one that was finished at the time of his death. The other episodes will be pieced together using footage that was already captured and whatever follow-up interviews were necessary to complete them. Another one of the final episodes will feature cast and crew discussing the making of the series pieced together with outtakes and behind-the-scenes footage from the archives. 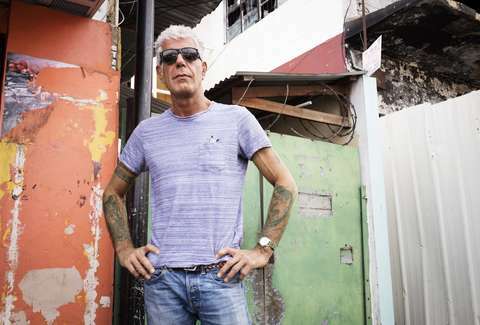 The series finale will be more of an homage to Bourdain and his legacy, devoted to how he affected the world by utilizing fan reactions and interviews with sidekicks and friends, according to Entelis. Parts Unknown was a cornerstone CNN Original Series, and commanded the highest ad rates of any series on the network, but that doesn't mean they're looking to reboot it with a different host, because, well, that would be impossible. That said, they're looking into finding a way to extend his legacy in one way or another with different programming. There's no word yet on the exact premiere date of the last season, but if you're ever jonesing for some Bourdain content on your TV, you can always revisit favorite Parts Unknown moments on Netflix, which is still streaming all 11 seasons of the series, and plans to continue to do so for months to come.